MultiBlockCoordSys with a central cubic box and four sectors. 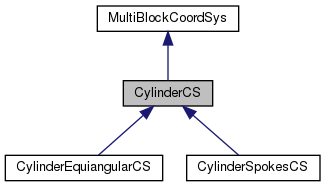 Reimplemented in CylinderEquiangularCS, and CylinderSpokesCS. given xi_k in block k, returns which block (k_valid) contains that location in its valid region and its location in that block's computational coordinate space.